There are 4 posts tagged blackboard (this is page 1 of 1). 1. To what extent to you believe soft skills can be trained online? “Believe” is probably the right verb for this question. Learning technology is still too often driven by opinions. Having said so, I definitely believe in it. First: a lot of soft skills have become online skills: how you behave in an online community, how you share knowledge through microblogging, or how you can be a good team member in an international virtual team. Additionally, it’s perfectly possible to practice all sorts of soft skills online. I see a natural increase of the “fidelity” of the practice process: from practicing in simple webchats, to practice in teleconferences, to practice with webcams or maybe even telepresence spaces. Finally, I think good design enables training of all sorts of skills. 2. What developments in the field of online training of soft skills do you find most promising? Can you name an example? X-Team is a 3D game in which you have to visit as many pagodes as possible, before getting to the finish line in time. These pagodes are at islands that can only be reached through bridges. Each bridge can only be crossed a limited number of times (you are with 12, but only 6 people can cross the bridge, wat do you do?). Everything is measured, making it easy to guide a teambuilding process through facilitation and adjusting the game’s parameters. 3. What do you think is the biggest challenge in training soft skills online? Practice is key in developing skills, so that’s the biggest challenge: How do you get people to do what they find really difficult? How do you get them beyond their fear of trying new behavior? Well developed games might just be the solution to this. 4. In the evolution of learning, are there things you hope/desire and/or you’re afraid of? Alan Kay has a famous definition of technology: “Technology is everything that didn’t exist when you were born”. His pal Danny Hillis has an even better definition: “Technology is everything that doesn’t work yet”. We no longer call an elevator, technology. So I’m looking forward to seeing things we still call technology, actually work. For a nice example of how that could look like for smartphones with apps, read this (under “Why Mobile Apps Must Die”). Being afraid is not something that fits in with how I look at life. I think we, as people, will always figure out our relationship with technology. But if I have to name something, I worry about the integrity of the Internet with the web as a platform for innovation on top of it. The five ”stacks” (as Bruce Sterling calls them): Amazon, Apple, Google, Microsoft and Facebook are all working hard to build closed ecosystems. We are going to suffer from this in the coming years and it will probably really have to hurt before these silos will be opened up. 5. What weblogs, people or organisations inspire you? The person I learn a lot from is Stephen Downes. He writes a daily newsletter about this things he, as a philosopher, technologist and education theorist, finds interesting. His newsletter is published under a Creative Commons license and you can freely subscribe. Additionally, I keep a close eye on George Siemens and the Internet Time Alliance and I try to make time to read Audrey Watters: a learning technology journalist with a punk attitude. I keep on top of internet technology in general by listening to Guardian Tech Weekly and the shows of Leo Laporte (especially This Week in Tech). Thinkers such as Clay Shirky, Yochai Benkler, Lawrence Lessig and Douglas Rushkoff guide me. One of my personal heroes is Martin Dougiamas, inventor of Moodle. It’s his natural leadership and personal character that have made Moodle as succesful as it is today, making even a giant such as Blackboard take notice. Other organisations that inspire me are those that democratize education and technology in a non-commercial way. Think of Mozilla architects of the open internet (they also have a learning outfit and work hard at an Open Badges infrastructure), or the Peer 2 Peer University, Tactical Technology Collective and Ushahidi. It is no coincidence that all these projects are open-source. I believe in the value of open-source a lot, from a practical and a moral standpoint. This year I am pressed for time so all I have done is compiled the graphs (I haven’t looked at any of the sites this year). In 2009 Moodle.org has implemented some automatic culling of inactive registered websites. This has meant that registered sites for most countries have gone down in 2009. Obviously this does not mean that Moodle is less used (see the Moodle Stats page for proof of that). The way usage is measured will hopefully stay the same so that comparisons between different years will start to make sense again. Please don’t forget that there are many Moodle sites in operation that have not registered (so if you are a journalist don’t misunderstand this and misquote me). 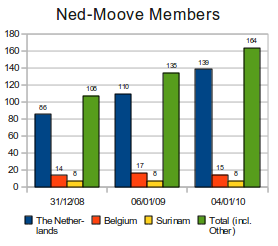 Our Dutch Speaking Moodle Users Group, Ned-Moove, has grown again in the last year. I can’t help but notice that all the growth is in the Dutch memberships. I realise that this might be due to a cultural difference (Dutch people seem to love organising themselves formally), but it is still a pity. Ned-Moove is looking for new board members. So if you are interested (especially if you are from Belgium) please let me know before January 27th! If you would like to become a member of Ned-Moove you can register here. 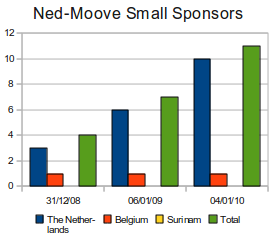 Ned-Moove is always looking for sponsors. Their financial contributions make it a lot easier for us to organise our seminars and Moodlemoots. 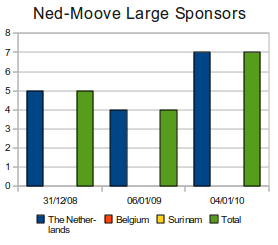 In 2009 we found three new large sponsors and four new small sponsors. Please register here if your organisation is interested in becoming a sponsor. I have a feeling that 2009 was really a breakthrough year for Moodle worldwide. For example, it became the market leader in the LMS category for eLearning Guild members. In the Netherlands something similar has happened. Without the quantitive data to back it up, I am sure that Moodle is the number one LMS in the Dutch corporate world: you find it everywhere. 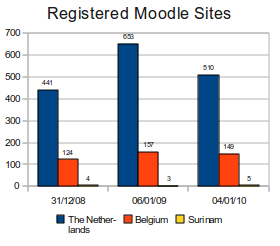 There is one market where the Dutch are way behind in Moodle adoption: the tertiary education market. This market was shored up by Blackboard about 5 years ago. I am still waiting for the first Dutch university or college that will make the switch. Maybe 2010 could be the year for that? An Open Office spreadsheet file with the data that I used to create the graphs is available here. My blog, as one of the preferred outsourcing partners of my mind, will serve as a keeper of some of my notes and thoughts on Online Educa 2009 in Berlin. This will be a relatively disorganised post with a lot of different short bits of information, apologies in advance. I wasn’t the only person tweeting at the conference. The tag was #oeb2009 and Twubs provided a nice hub. Moodle is a better product. Staff and students prefer to use Moodle over Blackboard (see this report). Moodle has a lower Total Cost of Ownership (see this report). CELSTEC, the Centre for Learning Sciences and Technologies. This Centre of Expertise is part of the Dutch Open University and does a lot of original research in the technology space. I would love to explore how I could work with them in the future. Quick Lessons. I like how this company has all the right buzzwords in their marketing: they allow you to do “rapid e-learning development in the cloud” (!). They even have the famous Web 2.0 badge on their site. There is one thing I really like though: the concept of a web-based development tool. I do think there is a lot of potential for those, regardless of whether Quick Lessons is the best option. Does anyone have any experience with using Udutu for example? 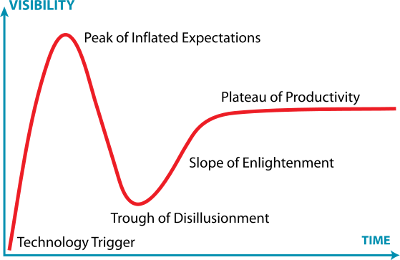 The market for capturing presentations is maturing. A presentation or a lecture might seem old-fashioned to some, but there still is a space for this type of teaching (if it is well done) and by filming the lecture, you can turn this into on-demand content for students. Through my work at Stoas Learning I already knew about Presentations 2 Go, but I hadn’t heard of Lecturnity before. The rapid browser-based sims of Thinking Worlds are very interesting to explore further. A little while ago I did a course which used a game developed with their 3D engine and I thought it had a lot of potential. Their worlds run in the browser and only require a Shockwave plugin which should be available on most systems. What I really want to know is how quick and easy the authoring process is. How do you design interactions and scenarios? I will check that out in the near future. Geanium delivers “Interactive Chronological Visualisations”, another word would be timelines. Their product looked nice enough: you could put events not just on a timeline, but also on a particular place in the world. I can see some niche applications for this service. I have quite a bit of experience in using Adobe Captivate to do rapid development. I like certain things about the software, but would be interested in finding out how it really compares to the other rapid development tools from Articulate (check out the excellent Rapid e-Learning Blog by the way) and TechSmith (of SnagIt, Camtasia and Jing fame). The latter has a new product out called UserVue, which could be very useful in usability testing. I wish I would have easier access to installed trial versions of these applications. Lord Puttnam keynoted on the first day. He talked about his latest video project titled We Are The People We’ve Been Waiting For. The basic point of the movie is that we are not preparing our children for the future that is waiting for them. You can get the DVD you for free when you order it online. I ordered and watched it and thought it made a good case for making a step change in our educational system. My favourite talking head in the movie was Ken Robinson. If you have never seen his TED talk, then you should rectify that situation immediately. Jay Cross organised a couple of unconferences with his Internet Time Alliance friends. I always admire Jay for how he manages to utilise the Internet to his and his clients advantage. His self-published “unbooks” are a great example of this. His sessions were by far the most interesting and engaging at this year’s Online Educa. Jane Hart and Charles Jennings were in the room and Harold Jarche and Jon Husband were available through video conferencing. The main question of the session that I attended was: What are the major challenges/vision/issues that we see moving into the 21st century when it comes to learning? Jarche thinks organisations will have to deal with more and more complexity. Everything that is simple or can be commoditized will move to the lowest bidder or will be an automated process. What is left is complex. The training functions are currently not able to deal with this complexity. Cross considers the global downturn a symptom of the end of the industrial age and the beginning of a truly networked world. In that world intangibles are much more important than tangibles. Our training metrics will have to change to reflect this. A hierarchy of employee traits in the creative economy: passion, creativity, initiative (these cannot be commoditized) followed by intellect, diligence and obedience (all of these can be commoditized). Jane Hart’s five types of Learning: Intra Organizational Learning (self-directed, organizational), Group directed learning (self-directed, group), Personal learning (self-directed, individual), Accidental & Serendipitous learning (undirected, individual) and Formal structured learning (directed, individual). These are interesting in that they show that they are other ways of delivery than the traditional face to face workshop, but they start at the wrong end of the learning question. 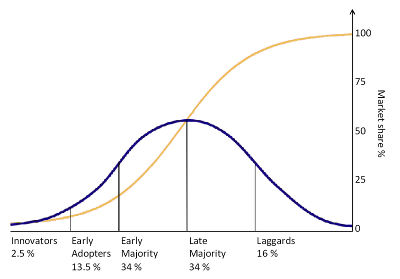 I would like to start on the demand side when it comes to creating a learning typology (actually I am working on exactly that: a corporate learning typology, more to come). The concept of the wirearchy: a dynamic two-way flow of power and authority based on information, knowledge, trust and credibility, enabled by interconnected people and technology. Bribing the knowledge workers on whom these industries depend will therefore simply not work. The key knowledge workers in these businesses will surely continue to expect to share financially in the fruits of their labor. But the financial fruits are likely to take much longer to ripen, if they ripen at all. And then, probably within ten years or so, running a business with (short-term) “shareholder value” as its first—if not its only—goal and justification will have become counterproductive. Increasingly, performance in these new knowledge-based industries will come to depend on running the institution so as to attract, hold, and motivate knowledge workers. When this can no longer be done by satisfying knowledge workers’ greed, as we are now trying to do, it will have to be done by satisfying their values, and by giving them social recognition and social power. It will have to be done by turning them from subordinates into fellow executives, and from employees, however well paid, into partners. The wonderful Cynefin framework. This models describes five different problem domains and the best ways to manage situations in these domains. Reading Snowden’s original Harvard Business Review article is well worth the price and the effort. I had a great round-table discussion with Ellen D. Wagner from Sage Road Solutions (kudos: the first business card with a Twitter name that I have received, maybe pretty standard in the valley? 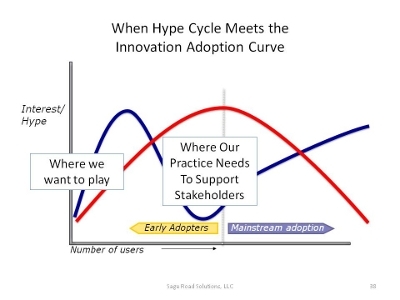 ), David James Clarke IV from Toolwire and others about how to accelerate the adoption of innovations. David James Clarke IV of Toolwire also presented on experiential learning in a plenary. His argument was that in the current information economy knowledge is not power anymore. It is access to knowledge and the ability to turn that knowledge into action and decisions that is power. The movie The Matrix provides an exceptional example of experiential learning in action. In this case, it is literally a matter of life or death. In a scene towards the end of the movie, our heroes – Trinity and Neo – find themselves trapped on the roof of the Agents’ headquarters. Their only escape is via a military helicopter. The problem is neither of them knows how to fly a helicopter … yet. So what does Trinity do? She calls her Learning Management System (LMS), of course. In this case, the LMS is represented by a phone operator named Tank. Trinity requests a specific learning object – Helicopters for Dummies! – and Tank downloads the skills directly into her brain. You can appreciate the experiential learning significance here. Once Trinity has received the skills, she and Neo fly the Helicopter to safety and continue saving the world! This is a perfect example of just-in-time, context-sensitive experiential learning delivered exactly when the student needs it … in 30 seconds! I have decided that I will invest some time into creating my own Pecha Kucha: a top ten of education philosophers. 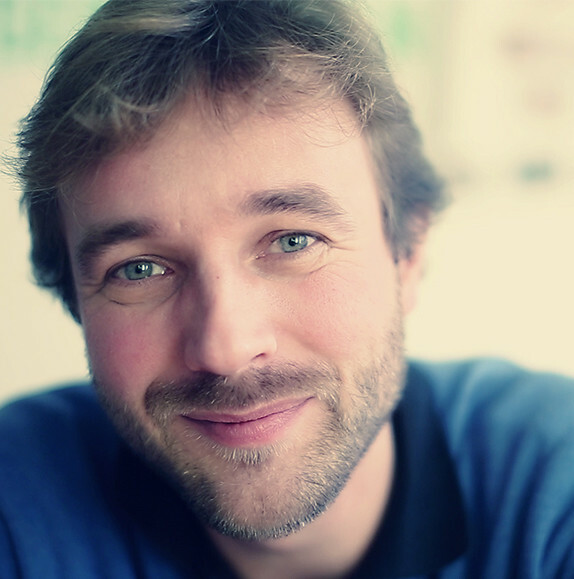 Niall Winter is an interesting researcher at the London Knowledge Lab. He talked about the fact that mobile learning has failed to exploit the social practices by which the new affordances of mobile devices become powerful educational interventions. He sees designing mobile learning experiences as one of the key challenges for the technology enhanced learning community. 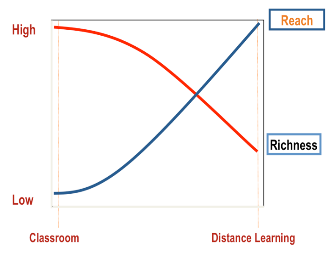 It important to focus on the learning intervention and not be techno-centric. This should lead to socio-technical solutions where the context and the activity determine the success. His goal then is to design activities that are appropriate to the context. The host of Niall’s session, Herman Van der Merwe, introduced the audience to the International Association for Mobile Learning. LANGblog is an open source adaption of WordPress Multi-User and is ideal for letting people without a lot of technical knowledge do audio-centric blogging. Thomas Michael Power talked about new ways of teaching Geomatics. He is part of the GeoEduc3D project which aims to design mobile educational games based on geospatial technology. All in all it was very worthwhile to go to this year’s Online Educa. I don’t think there is another occasion where that many members of the educational technology community are present. “Mashups & Widgets are the Future of the LMS” was the title of the talk by Bryan Polivka of the Laureate Higher Education Group. This is a group that runs 36 universities over the world. All of these universities have different methodologies, styles and cultures. It is Bryan’s challenge to find solutions that work for all of these universities. Bryan outlined his problem for us: The learning model is determined by how content connects to students connect to faculty connect to assessment. Their universities are still in the traditional LMS paradigm. This is a problem because we now have all these new things like podcasts, mobile phones, 3D worlds, social sites, etc. His solution to this problem is to go back to the basics. 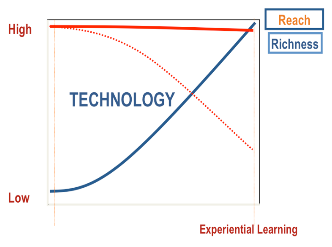 What is the core of what they want to do with learning technology? According to Bryan they decided that Content – Students – Assessments form the core interaction. This is what should be supported by the LMS, the rest can be flexible and can be set up in multiple ways. He then went on to highlight the widgetisation of the web (his example was Pageflakes). It used to be the case that the Internet was laid out according to the physical metaphor of the web page: a virtual location. You moved from place to place by switching web pages. That infrastructure is in the process of being broken up: you now have the possibility to pull in data from all over the web and display it in a single location (look at popurls as an example). 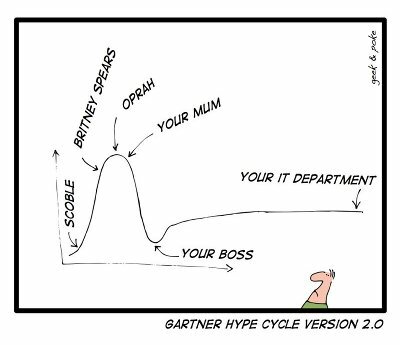 An LMS should support this through its architecture. Bryan gave a quick demo of Asiatrac Learning Studio. This LMS is created in Thailand and allows embedding of all of its contents as a widget on another site. The courses in the Laureate group’s universities are designed through a very solid design process. This allows them to have a lot of high quality content (much video and audio) in their repository of digital assets. The repository allows for tracking and can display its assets in an LMS, but also in a Facebook app or through the iTunes university. All they need is to make sure the student authenticates. The university is now in control of what options they will give their students and they can experiment with having the content only available in Blackboard, or sharing it more widely capitalising on the site that is currently en vogue with their students. Content is seen here as broadcasted material (audio, video, interactive e-learning modules, etc.) and not as pedagogically designed activities. Where is the student as a constructor of knowledge in this story? How do you facilitate and moderate student interaction and collaboration? How do you ensure that the learning experience doesn’t become too fragmented? The British Open University has explicitly chosen a strategy in which all the learning takes place inside the LMS (or as they call it: the VLE, compare Niall Sclater). This way they have full control over the design of the learning experience and are able to optimally facilitate their learners with a unified and clear interface. I would love to explore this topic further. Does anybody have any pointers?